Suspended Asian soccer chief Mohammed bin Hammam was tight-lipped on Saturday over reports alleging he was not fully co-operating in investigations over a cash-for-votes bribery scandal concerning his aborted bid for FIFA presidency. On Friday, British media cited a FIFA ethics committee report that claimed the Asian Football Confederation (AFC) president had refused to speak to investigators or provide his bank records during the probe. The report, created by a private investigative agency, concluded there was “no direct evidence” linking Bin Hammam to the offer or payment of cash but there was “compelling circumstantial evidence” that he was the source of the money, the Press Association reported. Bin Hammam is facing an investigation into allegations that he attempted to bribe members of the Caribbean Football Union to secure their votes at a meeting held in Trinidad in May as part of the Qatari’s bid to oust FIFA president Sepp Blatter. 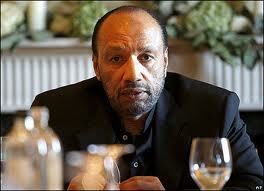 A source close to the Bin Hammam told Reuters on Saturday that the Asian soccer chief had nothing to comment on the allegations. Bin Hammam, who is also a FIFA executive committee member, has been suspended since May 29 on bribery charges and has denied any wrongdoing. He withdrew from the June vote in Zurich, allowing Blatter to secure a fourth term unopposed. The 62-year-old Qatari will learn his fate when he appears at the Ethics Committee meeting, which will be convened in Zurich on July 22.